"Ruff-Ruff!" 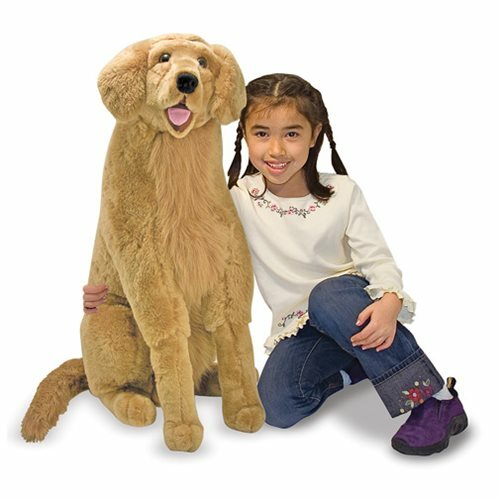 This lovable and loyal golden retriever features lifelike details, right down to its furry ruff! With bright eyes and a pink tongue, attention to detail and excellent quality construction this dog is made of super-soft fabrics. Already housebroken, this doggy will be a devoted companion. Measures about 31-inches tall x 35-inches long x 12-inches wide. Ages 3 and up.